When most people think of Keira Knightley, they usually imagine the British actress in a corset, either surrounded by pirates or in some elaborate 19th-century mansion. While she may be best known for her period pieces, Knightley's work has taken a lighter turn this year with modern films like "Jack Ryan: Shadow Recruit," "Begin Again" and now "Laggies," an indie rom-com with Chloë Grace Moretz and Sam Rockwell. The 29-year-old plays Megan in the film, a similarly aged woman who hides out from her fiancé for a week to hang out with teenagers and reprise her youthful days. Knightley spoke to HuffPost Entertainment about some of the skateboarding skills she learned for the film and revealed that she hasn't seen "Love Actually" since it came out. Congratulations on the news about your Broadway debut! Thank you, I’m really excited! You’re in three non-period films this year. What made you decide to go in the direction of more contemporary movies? I think my whole career really has been based on liking scripts and characters. I think it was more a matter of tone as opposed to a matter of era. I got to the end of doing “Anna Karenina” and realized that my work from the previous five years had been very dark. I wanted something that had optimism in it. 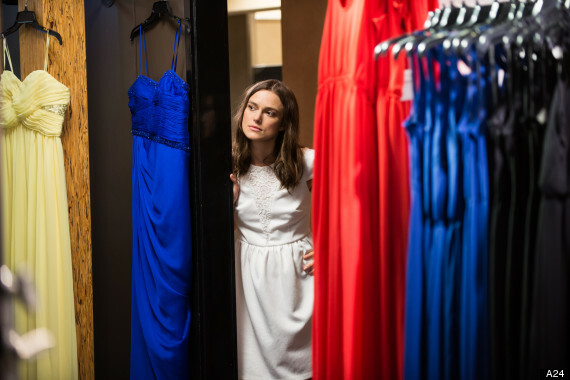 I think “Begin Again” and “Laggies” were the two that I really found to be incredibly optimistic. I think quite often making films with a lot of optimism can sort of be sickly sweet, and I’m not very good at that. So it took me quite a while to actually find things that I felt had optimism and hope. Were there any aspects of Megan that you connected to personally? Yeah. I think the wonderful thing about Megan is that everybody can connect to her personally. I think everybody can identify with that feeling of floating and that questioning of going, “Am I in the right place? Am I doing the right thing? Am I with the right person?” I think there isn’t any human being who hasn’t really felt that. What was really interesting was that I hadn’t seen this story -- you know, you see this story with a lot of men, but I hadn’t seen it as much with women. I certainly think every woman’s felt like this. Yeah, it is refreshing to see the woman-child instead of the man-child. Would you say it’s a common thing within the Millennial generation? I think it’s been written about a lot, so yes, it must be. I think there’s a huge expectation now and that people are forced to believe their job has to be a vocation, which puts an incredible pressure on what that job is. Even if you’re fortunate enough to have a job, if you’re not enjoying it, if it’s not the most important thing in your life, suddenly you feel like you failed. I think that does sort of make a lot of people float and not quite know where they are or what they ought to be doing. I certainly have friends who feel that way. And yes, maybe that kind of vocational aspect of every job is specific to my generation. But I think generally speaking, that feeling of “Am I doing the right thing?” is pretty universal. If you could spend an entire week neglecting your adult responsibilities like Megan does, what would you do? Just drink a lot, really [laughs]. I don’t know. I wouldn’t go with a bunch of 16-year-olds, unless I found a particularly nice bunch of 16-year-olds, I guess. I think I’d just sort of drive off somewhere in the middle of nowhere, probably with a lot of friends. That might be quite fun. You do some skateboarding in the movie. Did you have to practice a lot for those scenes? I did. They actually found me -- I wish I could remember her name, she was an amazing woman. She was actually a -- is it roller derby? She was, like, a roller derby woman, but she was also an amazing skateboarder. She taught me bits and pieces on a skateboard. I was absolutely terrible. I was quite good when I was alone with her, but as soon as you got me in front of any cameras, I was terrible. Then we realized that because of where we had to shoot it in the film, the insurance didn’t actually cover me doing very much on the skateboard. So it ended up being a really small amount on the skateboard as opposed to what it was supposed to be. I would like to say I was a tiny bit better than what we see in the film, but I don’t think I was. We can just pretend you were better. Exactly, thank you. I’m pretending that I’m better now, I’m just lying. In the film there’s a scene at a high-school prom. What was your own prom like in comparison? We don’t really have proms in England, not in the American way. So I actually turned up late and went with one of my best girl friends, because nobody asked either of us to the prom. We were each other’s dates, which was fun. She’s great, she’s one of my best mates still. We had a lovely time and we didn’t care that nobody had asked us, we asked each other [laughs]. You’ve played a lot of teenagers before from “Bend It Like Beckham” to “Never Let Me Go,” but what was it like to tap into that youthfulness now as an adult? It’s coming up on the holiday season and "Love Actually" is such a staple. What’s it like to be in a movie that’s quickly become such a holiday favorite? It was weird because it didn’t feel like it did and when it came out it didn’t do very well, particularly in the States. So it’s amazing how, all of a sudden, it’s found this life after the initial release of being this kind of incredible holiday film. I haven’t realized how big it’s become till the last couple of years when I go over to America and they’re all like, “Oh my god, I watch it every single Christmas with my family!” It’s always amazing when you realize the longevity of things and the fact that they can have a life after the cinema. I haven’t actually seen it since it first came out, but I get a lot of people quoting things from “Love Actually” at me, which is always very nice. The above interview has been condensed and edited. 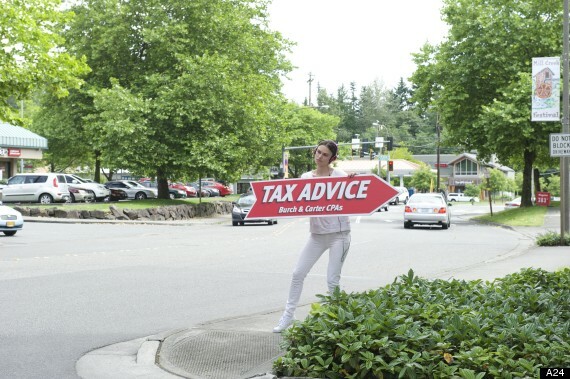 "Laggies" opens in limited release on Oct. 24. Looking lovely with simple, wavy locks at the Chanel show in 2014.